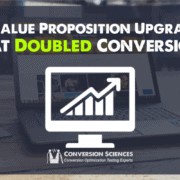 Your website visitors need value propositions because, given too many options, most people’s decision making process shuts down and they default to making no choice at all. Out on the internet, consumers have a million choices. And most of the time, all of the choices look the same to consumers. This drives people crazy. How are they supposed to know which choice to make? They try to figure it out, but doing so often leads to analysis paralysis which then leads them to not make any choice at all. Have you ever had one of those nights where dinnertime was fast approaching and a unanimous decision had to be made on what to choose for carryout…. only nobody could decide what to get? You might hear a lot of ….”just not burgers again”. Or…” please not pizza”. Everybody has something that they’ve just had too much of and they don’t want the same old thing…again. Everyone is looking for that something….that oomph for dinner…that dish that just makes you feel good. Something different. Because a good meal can change a bad day. And then all it takes is for one person to mention Chinese and the thought of trying to eat rice and wontons with chopsticks while drinking piping hot tea and cracking open a fortune cookie to find out your fate afterward seals the deal. Now we know that for most of us, eating with chopsticks is almost impossible. But c’mon, it is kind of fun. And not all of us drink hot tea with dinner. And we know that those strips of paper inside our fortune cookie aren’t really going to predict our future. But it’s kind of fun, right? It’s so simple and yet so genius. It probably doesn’t cost more than 30 cents for the chopsticks, fortune cookie and tea combined – but it adds a unique value to your eating experience. For decades Domino’s pizza offered one of the best value propositions around. Get your pizza in 30 minutes or it’s free. It’s probably the only time you’ve wished your pizza would get there a couple minutes late so you could eat for free. It’s a little like playing pizza lottery. One too many red lights and heavy traffic means 31 minutes and you win. A unique value proposition is something that you offer that stands out from your competitors. When consumers hear the same offerings over and over and over, they begin to tune them out. If it requires a lot of thought to choose one over the other with not a lot of differentiation, they tend to experience cognitive overload. They begin to shut down. Until a product or service enters the picture that makes their ears perk up again. Something uniquely refreshing, adds value and doesn’t make them think too hard. When visitors arrive on your website and they are greeted by a strong unique value proposition, it stops them in their tracks and keeps them from immediately clicking over to your competitor’s website. It also helps them to commit to engaging further with your website. Visitor motivation is always going to be the number one driver in consumer decisions. If they’re not hungry – they’re not going to eat at your restaurants. If they don’t want to be followed every moment of the day with emails, text and social media – they’re not going to buy your smartphone. But visitor motivation is not something we can control. We can harness and steer it. But we can’t control it. That’s in our visitor’s hands. However, a unique value proposition is something that we can control. That’s why it’s imperative that you invest in drilling down, uncovering and revealing a really good one. Not every value proposition is created equal. And as you’re about to find out, just being “different” or “unique” isn’t enough. First, dig deep and write down every possible way in which your business and offering is unique. Every possible way. Don’t leave anything out. Just like no question is a dumb question – the same holds true for brainstorming for value props. Include them all. You just might have a hidden gem and don’t even know it. It’s been a long held belief that if you just come up with something really unique and different then that is enough to define a unique value proposition. But what if nobody wants it? A toy that teaches kids the nutritional value of eating broccoli is great for parents. But if the kids still don’t want to eat their greens – it’s useless. So when you nail down your UVP, make sure that it’s something that your audience really wants. Once you’ve identified your strongest value proposition, don’t stop there. Also, identify secondary differentiators. These secondary differentiators will help support your unique value proposition. It will help to strengthen it when it comes to visitors making a choice whether or not to choose you. These secondary differentiators can be things like free shipping, membership rewards – anything that provides added value. Sometimes businesses have already have a pretty cool value proposition but it’s hidden from the world. I was analyzing a website recently and didn’t discover their unique value proposition until I was reading their About us page. It was awesome. But it shouldn’t be hidden only on their About Us page. 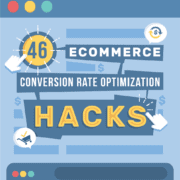 Only a certain percentage of visitors will read that page. It should be smack dab on the Home page. Most people aren’t willing to invest 5 minutes on 10 different websites to see if they have a unique offering. Their time is too valuable and to spend 50 minutes total browsing websites only to find out at the end that nobody provided anything with unique value is too much of an investment. They’re likely to only spend a few seconds before deciding if they should stay. So make sure you convey your unique value proposition immediately. Having a unique value proposition that sets your business and your offering apart from your competitors is a crucial first step. But there’s also other areas where you need to highlight your value props. When you provide different services and products to your prospects those services and products need to be differentiated by their unique value. Why? Because it helps them to better understand which one they should choose. Remember, if they don’t know or can’t make a choice, they might not choose anything. Not only will you be differentiating your products and services from each other so prospects can make a choice. But you’ll also be specifically differentiating them from your competitor’s specific products and services as well. And what about your About Us page? Are you differentiating the value of your team? Your team members are like no other team. Make sure that you are highlighting their very unique value too. I hope you have a little bit better of an understanding as to why a value proposition is so valuable. Not only does it give you an advantage over your competition, it also helps your visitors to sort through all the marketing messages they receive. Without it, it can be very hard for them to make a choice. 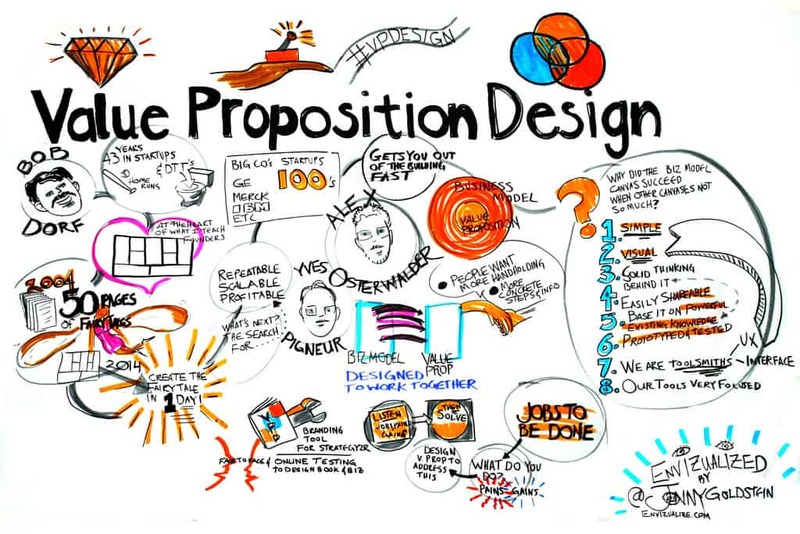 Value proposition’s are effective in that they stop visitors and grab their attention. Once they see something they like, they are now more willing to commit to reading more of your message and delving deeper into your site. So take the time to identify your strongest unique value proposition. Add on secondary differentiators to support it and make it stronger. And remember to find the unique value in each and every one of your products and services – or in any other area when you can.